I normally have nothing to say about it. I have my own book making philosophy and so long as I’m able to continue to make functional eBooks my way in my own pursuit of happiness, you can feel how you wish. But lately, my pursuit of eBook happiness has been compromised because of that earlier philosophy. 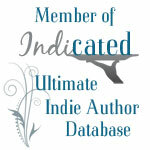 And Smashwords – gods how I love them – is at the front of this problem. Let’s look at the history of bookmaking in a nutshell. In the early days, when books were hand written, you didn’t just put words on a piece of vellum. You were expected to be an artist. Illumination is the word of the day: it has nothing to do with light-bulbs. In other words, books were a work of art. It’s easy to say that eBooks have a different history as they mostly started out in text files with limited formatting capabilities. Yes. Admittedly eBooks have a more plain beginning – aside from those beautifully illuminated books I saw on the internet for free back in the 1990’s… oh wait. I guess that means that eBooks started out as a work of art. But overall, yes, they didn’t have the ABILITY to be pretty. Moving ahead to today’s eBook revolution, we get a lot of people who want to take the two beginnings to extremes. We’ve got “fixed layout” epubs with pages that mimic a real book with background images and great looking magazines. We’ve got boring-looking epubs that are words and words only. No variation in type. No indentations. Just block paragraphs. And neither camp wants to see Romeo and Juliet wed.
Smashwords is at the forefront of this “keep it simple” revolution because of all the people in their early days who came to them with badly formatted books that just flat looked terrible. Readers warned other readers not to buy a Smashwords book because of how horrible they looked. That warning still gets spread today – interestingly enough – despite Smashwords tightening their formatting regulations to extreme measures. So extreme you’re not allowed to mix block paragraphs with first line indents anymore. You’re not allowed to have a line border beneath your headers for aesthetic affect. If your eBook has a mix of styles that require the font be one size off from another style, your book stands a high chance of being rejected – even if you have a good reason for the difference. Their Style “Guide” is their god, and if something is off then you must not have followed it. Now with Smashwords, you can usually contact them when a problem arises and plead your case. They look like they’re expecting you to build cookie cutter houses, but they do make leeway if you can communicate properly and plead your case. Usually. But their guidelines remain a very good example of the philosophy: keep it simple. And ugly. On the other hand, the push to make books more and more fancy is creating problems for not just book makers but book readers. In order to see some of the fancier children’s book, you have to have the latest in ebook reading equipment. That costs money. In order to make some of the fancier children’s books and, lately, to get published with Apple you have to catch up and learn fancier coding. Even if your book is nothing but a few chapters and all you want is maybe a few dancing demons at the bottom of the final paragraph. The biggest things I’ve noticed about this debate is that it’s not being fought between readers. It’s being fought between makers. The eBook builders. I think there’s a solution to this debate. All we have to do is: look at what the readers have to say about it. They’re the ones that are paying the builders money when they buy the eBook. They’re the ones that are set to try and enjoy their eBook experience. They’re the ones who ultimately decides who reads that fancy or plain book. Readers really hate ugly books. Ugly doesn’t always mean badly-formatted either. Ugly means just plain headers, barely a paragraph separation, single-spaced paragraphs, and basically as plain as plain can get. In fact, readers will warn other readers away from buying that ugly book. Some readers do like the fancy new books with the pretty backgrounds, but many readers can’t read them for a variety of reasons including they can’t afford the fancy new ereading equipment or that fancy book is priced too high. Some readers find the super-fanciness too distracting. Readers gravitate to books that look pleasing to the eye but are an easy to read experience, such as the way some magazines are formatted in the print world or how illustrated books were formatted back in the 60’s and 70’s: with an illustration floating here and there and the words spaced evenly with paragraphs nice and tidy. Readers who purchase a book that’s formatted pleasingly tend to overlook that formatting because their minds and hearts go straight where you want it to go: the material. They take perfect looks for granted. This is where my book-formatting philosophy comes from: the marketing value of a well-formatted eBook. You’re not worried about impressing your reader too much in most cases. You also don’t want to chase them away. You want your book to please them enough that they’ll tell their friends and recommend that book, and possibly even you. And so far from what I’ve seen: the middle road has it. By necessity, Smashwords has it wrong. Companies that are trying to get too fancy also might have it wrong. The middle road is the best, most marketable road. Ebook formatting isn’t just about neatness and functionality. It’s about giving your reader, who is picking up your volume for a multitude of reasons including entertainment, an enjoyable experience. Like with Goldilocks and the Three Bears, one eBook is too fancy and one eBook is too plain. But if you figure out when too much is too much and too little is too little, your eBook can be just right. DISCLAIMER: “Too fancy” does, of course, exclude certain picture books, children’s books, and even some magazines. Oft times I’ll get that hurried client that wants a book cover. They want a good book cover, an original book cover, one of my best, and they want it NOW. They want their name in neon lights above the title, they want the image to catch attention, and at the same time they want blurbs like “Voted the best by the book readers monthly,” or “a strange man finds a strange object in a strange place at a strange time! What will he do?!? !” all over the picture. And they get frustrated if I can’t deliver in a hurry. Sometimes they’ll hire someone else and my time is wasted. If you want a good book cover, a really compelling book cover, from me or just about anybody the first rule is don’t rush it. Sometimes inspiration strikes and I’m able to produce that next masterpiece within minutes. But then there are other times when it’s like I’m pounding my head against a wall for weeks. So you want covers like this? If you do, then you have to let the artist think a bit. You wouldn’t cause the premature birth of your child. In some ways it’s the same thing. What will catch the reader’s eye/attention? Are the words readable when the image is a thumbnail as well as when its big? Does the lettering style fit the overall theme? Which is more important: author name or book title? Does this picture represent the book properly? Are the images and fonts legal to use? There’s the name of my book, my name, when it was published, two descriptions on what it’s about (the back cover material), search tags, and if I had any reviews that would be there too. You’ll see the book cover, about me, about the book, other books bought by people who bought it, a couple of reviews (its a miracle! ), when it was published, and so on. All of that information is put together on the book’s page when the book is set. The cover? Yeah. Let’s take a closer look at my cover. Most importantly, the picture is very compelling. I have a woman representing a key character in the story. Her attitude was perfect, her clothing superb, her hair awesome. I had to have that picture, and I spent my last dime getting it too. LOL. Once I had it in hand, I tweaked it a bit to bring out her face, arms and mirror a bit more. That’s where I wanted viewer focus. In the mirror is a another key component to the story: an hour glass. And the woman (whose name is Aramina btw) is telling you she has a secret. All of that from the book in one fell swoop. Blammo. Secondly, I have the book title in big, readable letters. Some covers don’t give me leeway to make things that big and still have it look good, but this one did me the favor. Because Aramina, the black wolf, was on the cover I chose to make the words silver in honor to the Silver Fox. My name there at the top is the traditional place you’d put a name for a famous author. But I’m only the author, so my name doesn’t not overpower the image and I’m not likely to let it anytime soon. 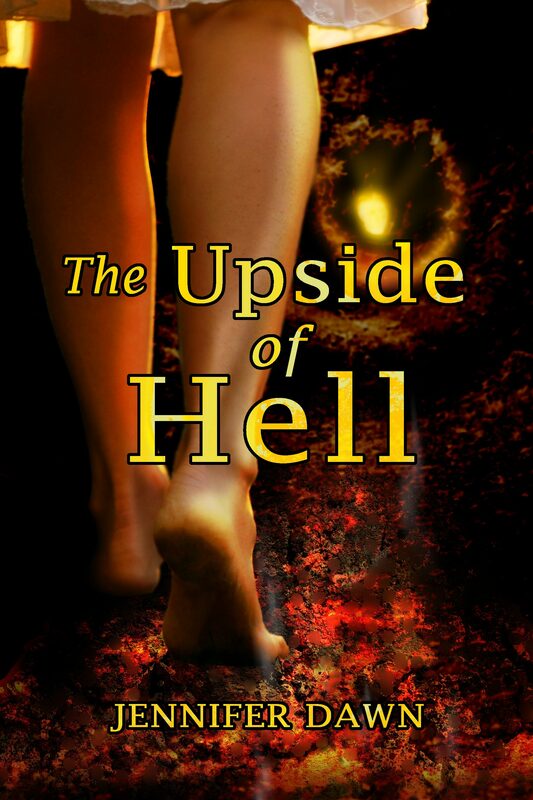 This is the third incarnation of the cover, and it’s the one that has brought me the most sales. The first two covers – omg the first two covers. I’m not showing you the first two covers. But this cover is great. Other covers, like the Hell cover near the top of this article, can take a bit longer. My client knew what she wanted. She provided me a picture of a woman walking through a forest. (Yes, a forest.) She asked for a couple of small tweaks, but by the time I was done I had the woman walking through the depths of hell itself. It was fun, it was a challenge, it took me at least two weeks. The Amphitrite cover, by contrast, was even more of a challenge even though making it was a simpler process. In this case, the characters had to be dressed properly for the year 1833. I wasn’t about to try to draw it: my style wasn’t appropriate for this type of story. So I had to find it. I had to find it all. Finding images of women wearing mob caps through a stock image service is next to impossible. Good images of anything similar: ha ha ha. I laugh. I scoff. It’s lucky I don’t charge by the hour. Maybe I should. I had to research the ship. There are at least a few hundred sailing vessel types out there. I had to get the right one, especially since this story is based on fact. This meant historical research – lucky for my client I’ve a minor in history instead of a major in art. And I got very lucky. I came across an actual anonymous photograph of the exact vessel type I was looking for from that year. I felt blessed by the gods. Is that the actual photo of the Amphitrite? I’d like to think so, but I should be so lucky. When the idea finally began to form (right about when I found the photo, which I found first), it was a quick assembly. It took me days to find the parts, and hours to put it together. But I had to have something in my head to work from, and I had to have the puzzle pieces to assemble, and even though I managed to make a cover I’m pleased with in just a few hours… it took me about a month just to figure it out. Unless your book has outside publicity to pull people to it, your covers run the risk of chasing readers away. An ugly cover (not represented here as a courtesy to everyone involved) will be to the reader’s eye like water off a duck’s back. Sometimes that reader will check out a book, but not always. In the bookstore, this is a big deal. It’s that shiny image that gets the buyer’s attention in the first place. For the internet, it’s not as big a deal but it still is. 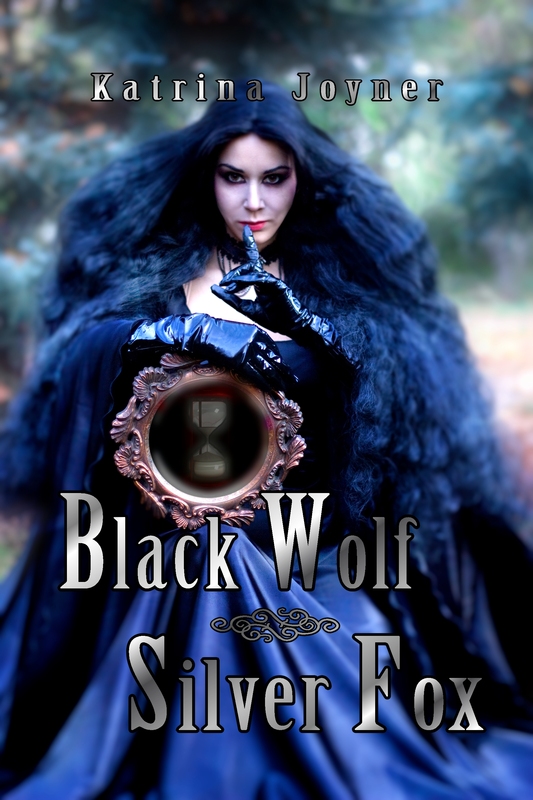 Going back to my cover for Black Wolf Silver Fox: that book has been in the market for years. When sales for it nearly stopped entirely I put it to the book’s age. Making that new shiny cover taught me a lesson on that matter. People were seeing this nifty thing and buying it all over again. I just had several sales last week as a matter of fact. I’m not Stephen King, but my book isn’t dead either. I can safely say my first two covers were not helping me any at all. My best book covers happen to belong to clients who have been previously published and built a name for themselves. This isn’t because they’re famous. It’s because they were used to waiting a year or two before they saw their books on the shelves, and they gave me space and time to think. No rush deadlines from them. So when rushing your cover artist for that cover, stop and consider. Do you want your book to sell? Then maybe waiting a little bit isn’t going to hurt you. Maybe it’s only going to help you: like waiting a full nine months for your baby to be born, perhaps. To stay on top of the formatting game, I try to research the formatting situation at least once a week. Time and again, one of the distributors and publishers changes the rules to their corner of the game. This means work I format that the day before looked great and follows the rules sometimes and suddenly doesn’t, so heigh ho it’s off to research I go. Last night while researching Amazon’s current formatting layouts, rules, and the possible use of their Kindle previewer in the process I discovered two things. Anything Calibre produced will be rejected whether it works perfectly and looks good or not. Amazon has opened up a new publishing venue for bloggers. Both of these situations may be old news to some of you out there, but for me they’re newly imprinted on my little brain. (I spend more time formatting and creating covers than I do anything else, after all.) So if you already know of these things, move along. Nothing more to see here. If you’re like me and are currently going, “Wut? ?” then keep reading. The Calibre situation probably should go into a post for another day – or a rant, as it were. So I’m only going to say as briefly as possible that the Calibre developers are very adamant that it’s not a tool meant for constant conversion for publication in such venues as Amazon. However, I personally use it for the initial conversion into epub – and from there I tend to code by hand and prepare for mobi conversion using Sigil, my typing skills and (gasp!) my brain. After all, I never can seem to get MobiPocket to work with me. Just GAH. Thankfully KindleGen and I are starting to slowly get along, and it seems to convert my epubs alright. The drawback to my little shortcut is that during the conversion process, Calibre stamps its marker all over the internal code. Styles are named things like Calibre1, the metadata is marked as “Hi, Calibre did this!” – and although I can take a lot of that out and end up doing so in some cases, it bothers me a lot that Amazon is pulling yet another one of it’s corporate Nazi moves by eliminating all of the mobi Jews from it’s system. Who cares if Calibre had a hand in part of the production, so long as the file works properly and is up to their code?? But, as if to balance the act, Amazon has started a nifty program for bloggers like you. And me. It’s called “Kindle Publishing for Blogs”, and as I type this it’s in beta. You go here: https://kindlepublishing.amazon.com/gp/vendor/sign-in and either sign in or open an account. Although it claims to let you use your previous publishing account with Kindle, I ended up having to open an entirely new account for it. Then you choose the blog you write in the most and add it to the system. You may need to take a snapshot of it, but that’s all in the store and the looks. If you want people to subscribe to the blog, you may want to put on a pretty face. And that’s it! Upon approval, your blog will be added to that new portion of their store and the readers will hopefully sign on in droves. One thing I noticed while I was putting in my weird government conspiracy fiction blog – entitled Butterfly – was that you probably have to be very regular in your blog postings. There is a drop down option to select how frequently you post. The lowest it had was 1-2 times a week, which is not how often I blog in Butterfly. I actually blog far less than that – we’re back at that scant time issue again – but I submitted my blog anyway. It will probably be rejected… but imagine if it’s accepted and got some readers! The revenue would allow me to make time to post regularly then, now wouldn’t it! I format a lot of books – more than I find time to post about here on the blog (although I’m trying to catch up). And I’ve had the pleasure of reading a lot of interesting stuff. I’ve also had the pleasure of having to slog through some uninteresting stuff. And one thing I can say beyond a shadow of a doubt: nothing hurts a book more than bad spelling, obvious bad grammar, and – as my husband puts it – trying to beat the reader to death with your sentences. If you are committing any one of these three errors, you may need to hire a copy-editor. Many of my clients turn to me with this problem and ask me to correct such and such a sentence please, or could I just check the spelling as I read their book? And by the way, what did I think of the book? And well: I’m a formatter, not a copy-editor. If you’re confused, think of the copy-editor as your college literature professor grading (and correcting) your paper and me as the little guy in the printing press that sets the book out for printing. I do my best not to read the book at all while I’m putting it together, otherwise formatting would take me forever, and I’m going to try to keep it exact word for word. Do you think you need a copy-editor? If you feel the urge to ask your formatter to correct anything in your book that has to do with the way it’s written, then yes. You may need a copy-editor. If your formatter has the fortitude to tell you about more than three spelling errors in your book, then you probably need a copy-editor. If you’re using misspelled words “for effect” or can’t let that paragraph go because “it’s just so cool”. Your work is far far worse than described above. When you don’t need a copy-editor. You don’t need a copy-editor, IMHO, when your language is beautiful and you have very very few misspelled words in your document. A common mistake I see in self-publishing is when the writer decides their book isn’t good enough because their writing doesn’t adhere to the professional format 100%. In a legal document or technical paper, this is a valid concern. In nonfiction or even some fiction, it’s bullocks. Take Mark Twain for example: his writing flowed because he wrote how he thought. His grammar was great while not strictly adhering to the rules, he was not afraid to use contractions such as y’all and ain’t, and my gods. He’s a legend. Take his example with your work: don’t be afraid to write as though you’re really there talking. So the writer hires a copy-editor, their work gets tweaked and changed, and suddenly their particular style is gone because “the rules” put the book in a little suit and tie and renamed it Bob. If you’re a good writer, don’t be afraid to be a good writer. The rest will follow. So you need a copy-editor. Now what? First, go to your copy-editor BEFORE you go to your formatter. Otherwise, your formatting fees might get charged twice when your formatter formats the book and then has to format it yet again after you’ve made changes. Book writing is an artform but publication is a step for step process. 1. You write the book. 2. You correct the book. 3. You copyedit the book. 4. You format the book. 5. You publish the book. So if you come to step 3 and can’t do it yourself, I recommend the list of copy-editors I have begun to compile at the end of this article. Go. Get your book prepared. Polish it and make it gleam. And then, only then, come to me and I’ll set to work to get you ready to go.